Compassionate midwifery makes a difference to women, but it is just as important to midwives. These are difficult times for the midwifery workforce. 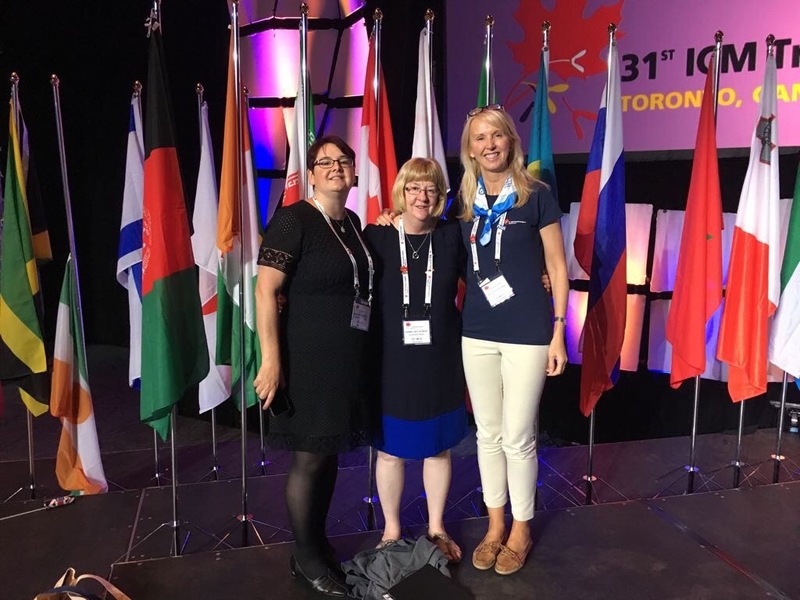 The WHELM Study was commissioned by the RCM and carried out by a team from Cardiff University, led by Professor Billie Hunter, to explore the relationship between the emotional wellbeing of UK midwives and their work environment. It was a serious effort to find out more about what factors contribute to the ever growing problem of low morale and attrition. The results, from around 2000 midwives surveyed, indicated worrying levels of emotional distress and burnout. Those in the greatest need of support had the highest levels of burnout. Younger and less experienced midwives and also midwives with a disability seemed to be particularly at risk.There is more, and if you have not read it yet then please click on the link above and take a look. The RCM Conference in Manchester last October was a great success in many ways. BUT I was expecting the RCM to discuss the WHELM Report and respond with a way forward. As the only trade union and professional organisation dedicated to serving midwifery, I (and many others) thought that the RCM would want to address this in some way, but it didn’t happen. Many people were baffled by this. I wrote a blog expressing my disappointment that Gill Walton (RCM CEO) had not used the conference to highlight and respond to the study findings. One thing led to another and Gill Walton invited me to meet up with her. She seemed interested in my research on compassion in midwifery and how I believed it linked to the WHELM Report. It took a while to plan our meeting, as Gill is very busy in her RCM role. During that time I had discussed this subject with lot of midwives to find out more about what their views were on WHELM. 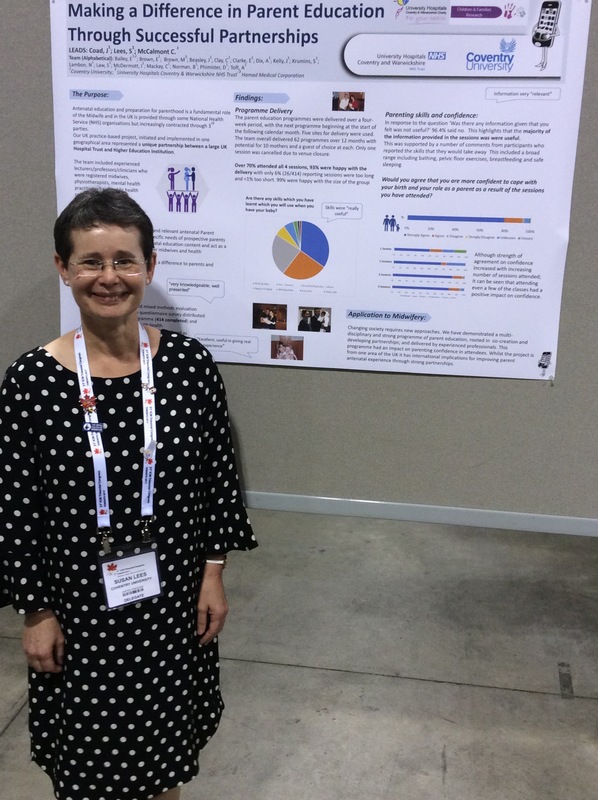 I wanted to make sure that I was able to represent, not just my opinion, but that of other midwives. Anyway, on Thursday it happened! I went to London to see Gill in person at RCM HQ. I was made to feel very welcome and Gill was clearly keen to hear what I had to say. 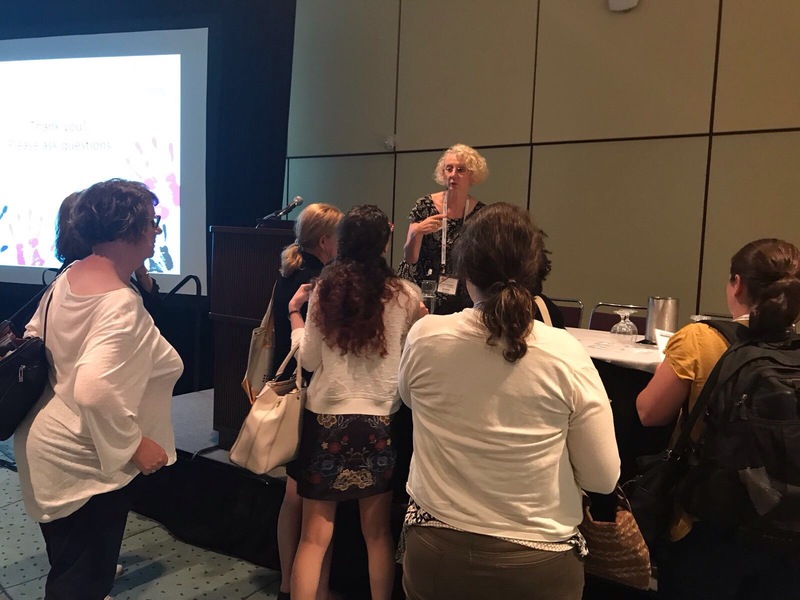 I talked to her about the findings of my research: Women’s Lived Experience of Compassionate Midwifery and how it has shone a light on the importance and impact of compassionate midwifery, for women. Then I turned to the WHELM Report. It became apparent that Gill wants the RCM to respond but the question she was taking time to consider, is how? She talked about how the recommendations from WHELM link with The RCM Caring for You Campaign and how this could be a constructive way forward. I agreed, I think it should reinforce Caring for You and take it to a new level. I was impressed by the way that Gill was really listening and considering the best way forward now, given the really very concerning findings from WHELM. I invited Gill to consider a compassionate response to WHELM. Compassion involves the recognition of another’s suffering and the emotional connection, motivation and actions aimed at relieving that suffering (Menage et al 2017). I explained that, as I see it, WHELM is evidence of midwives suffering as a result of their workplace experiences and conditions. Therefore a compassionate response must start with recognition and acknowledgement of that suffering. This should, of course be followed up with an action plan but the recognition has to come first. We know that this is true when we show compassion for women who are very frightened, in emotional or physical pain, depressed or distressed for any reason. As midwives we know that we have to recognise what is happening first and acknowledge it. Only then can we work with the woman to try to find ways of relieving it. As human beings, we know that when others ignore or disregard our own suffering, it is a painful experience in itself. Recognition of others’ suffering and standing with them in that suffering is a compassionate human approach, and what is more, it helps! I was heartened by Gill’s response. Clearly the RCM do not have all the answers to a seriously over-stretched and under-resourced NHS, and midwives do get that. But Gill was very open to considering what the RCM could do. She seemed genuinely enthusiastic about a compassionate way forward. Only time will tell if the RCM can demonstrate their compassion effectively for midwives who are clearly suffering. I believe they can. I left London feeling optimistic that my suggestions were heard, understood and will be seriously considered. Thank you so much for listening Gill Walton. 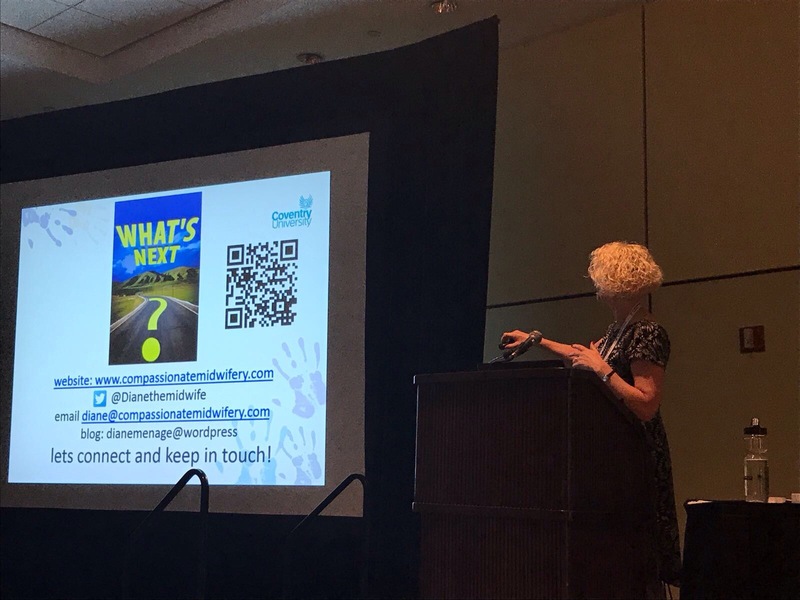 Day two of the conference was every bit as packed and interesting as Day 1 and once again I am not going to try to represent all aspects of the day but just share my lasting reflections. Students played a big role in this conference and I have been really struck by how the student midwife voice is growing and developing in midwifery and making a big impact. On Day 1 there was a student programme with many students really shining in their roles as chairs and speakers. During Day 2 more amazing student midwives participated and presented. 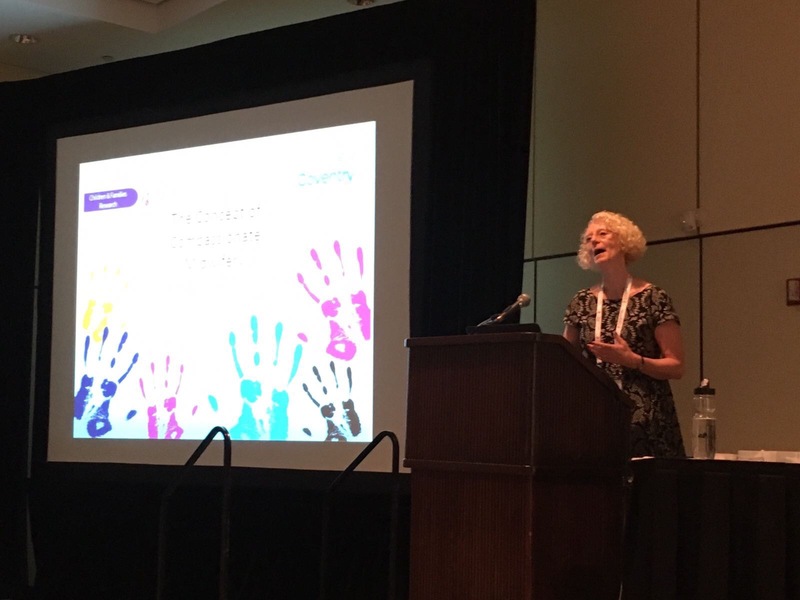 I was not able to see all of these as many sessions overlapped but I thought that Mairi McLellan was fabulous alongside midwifery research superstar Dame Tina Lavender and the unforgettable Karyn McKlusky (CEO of Community Justice Scotland). Mhairi not only gave a very slick presentation she sat alongside these very experienced and inspirational women and smashed it. She was a role model to all midwives everywhere to make a difference with small acts of leadership and ‘don’t dull your shine’. This was part of a larger exhibition held at De Montfort Uni in September. 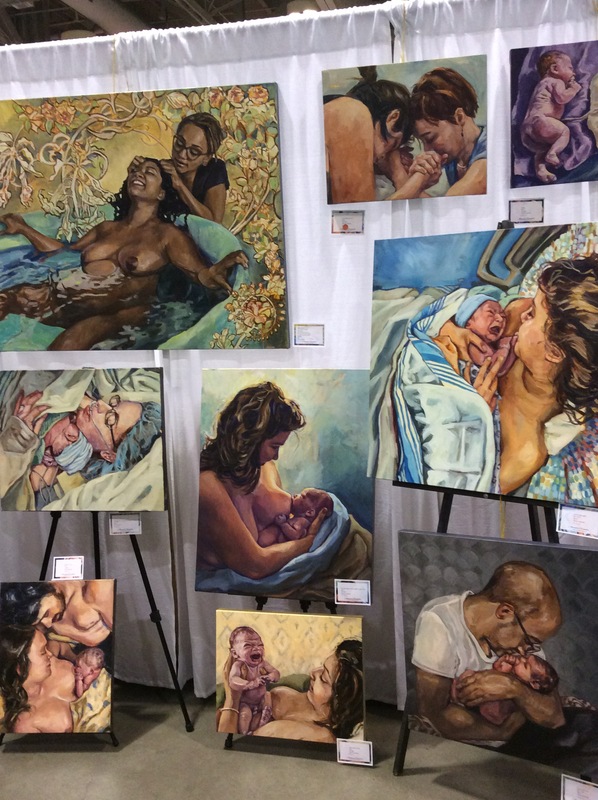 The exhibition challenges the stigma around breastfeeding by showing its beauty and reality through art and photography. I was also particularly struck by Alison Brindle’s contribution, alongside Emma Gornall (Delivery Suite Manager) at Lancashire Teaching Hospital NHS Trust. Alison is actually a newly qualified midwife now but as a student she was instrumental in the growing success of #TheatreCapChallenge in maternity care and in particular in instigating this change in her own Trust. In addition she has helped to change practice to achieve zero separation for Mums and babies when baby needs cannulation (#ZeroSeparation). What absolutely fantastic work! It is extremely relevant and timely that conference also saw the launch of the first ever student midwives journal: The Student Midwife. Conceived and produced by All4Maternity https://www.all4maternity.com/ it is edited and co-edited by student midwife Ali Monaghan, Mhairi McClellan, Ruth Bowler, Charlene Cole, and Alison Brindle. It’s has been an inspiring and thought provoking day for me attending the first day of the RCM conference in Manchester. The day started with such a buzz as midwives piled into the Manchester Central Convention Complex. It was good to see so many midwives from all over the UK today and talking to midwives I have never met before as well as those I haven’t seen for a while is a big part of Getting the most from a conference like this. There have been some great speakers and sessions but the first session in the Main Programme: Conversation with Gill Walton, the RCM CE has stayed with me. It was a great start with the RCM CE up on stage outlining the last year of RCM work to a packed hall. Better sill with the conference app delegates were able to pose questions to her. This was a brave move and she competently dealt with a number of issues including a new report about prevalence of domestic abuse for HC workers and the impact of changes in student midwifery funding. However, I was disappointed with her response to a question about The WHELM report https://www.rcm.org.uk/sites/default/files/UK%20WHELM%20REPORT%20final%20180418-May.pdf. This study by Cardiff University has highlighted staggering levels of stress, burnout and depression amongst UK midwives. But Gill Walton tackled this topic by advocating positivity towards midwifery. 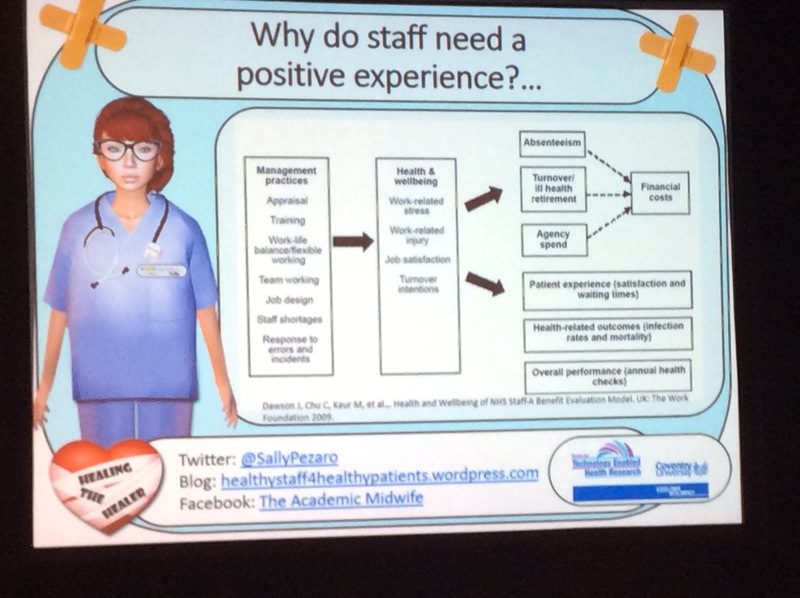 She called for midwives to focus on the good things about the job and difference it can make. I am afraid I think she missed the point here. Midwives generally know that they are in a fantastic job and that they have an opportunity to make a huge difference to women. That is not the problem. 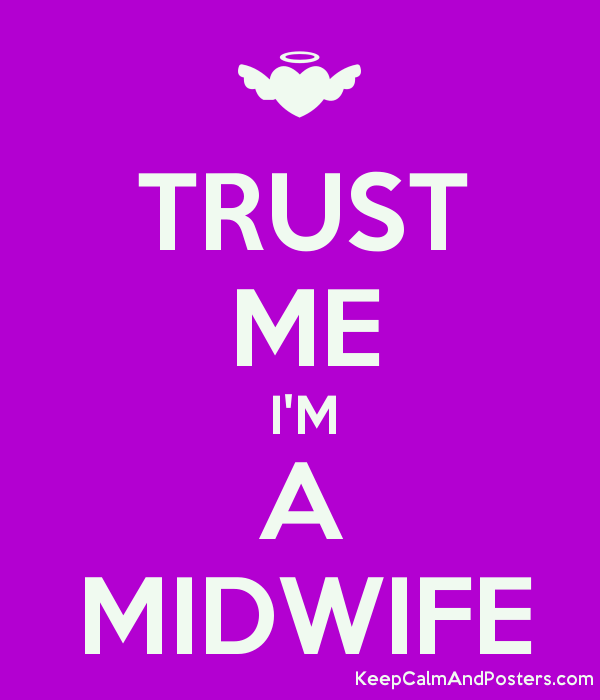 We don’t have a problem with enough people being attracted to the profession (yet) but we have a very big problem keeping qualified midwives in the profession without them getting burnt out. It’s not the true nature of the job that is the problem, it is the culture. It is the frustrating organisational systems, the onerous record keeping, the fear and blame, the bullying, the impossible workload which prevents midwives from having basic breaks. Above all it is something to do with the lack of support in their role which makes huge emotional and physical demands on them. The response The WHELM Study must be one of compassion. Compassion is a response to suffering and what WHELM tells us is that many midwives in the UK are suffering. This is a serious threat to the profession and must be acknowledged and addressed. Compassion is a process which involves recognition of another’s suffering and the motivation and will to relieve that suffering. This is what midwives need now. Positivity has a place but it cannot relieve suffering. When women are suffering because they are exhausted, frightened, feeling vulnerable or in pain, positivity has limited effect. So we listen to women and notice how it is for them and this way we try to understand what would help them and provide it. Compassionate midwifery must apply to midwives too. The response to WHELM starts with compassion. The last day of the congress and I want to reflect on how despite the difficulties that midwives have to work in they grow from strength-to-strength by finding ways to overcome these difficulties. Yesterday my blog focussed on the terrible suffering of FGM but today my first thoughts are on overcoming the distresss caused by difficulties that midwives sometimes endure in their work. 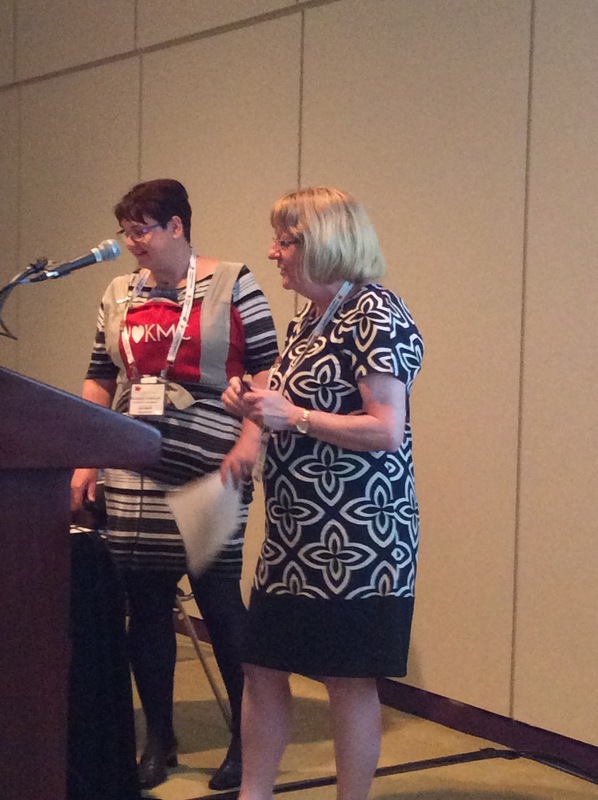 On Wednesday Sally Pezaro from Coventry University presented her work on midwive’s workplace distress. Midwifery is highly emotional and sensitive work and yet we often work in high stress environments. Sadly fear and bullying can also be a problem in our profession. Sally reminded us that fearful, stressed midwives do not provide best care and suffer from poor physical and mental health. 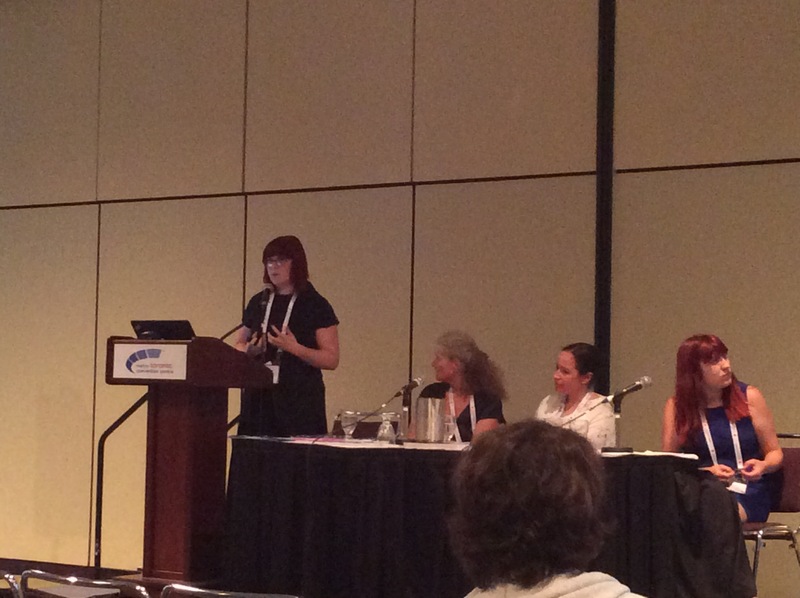 She proposes an online intervention for midwives experiencing workplace distress. A one-stop-shop where midwives can gain support at any time, wherever they are. Her PhD research project has been testing the feasibility for such an intervention. 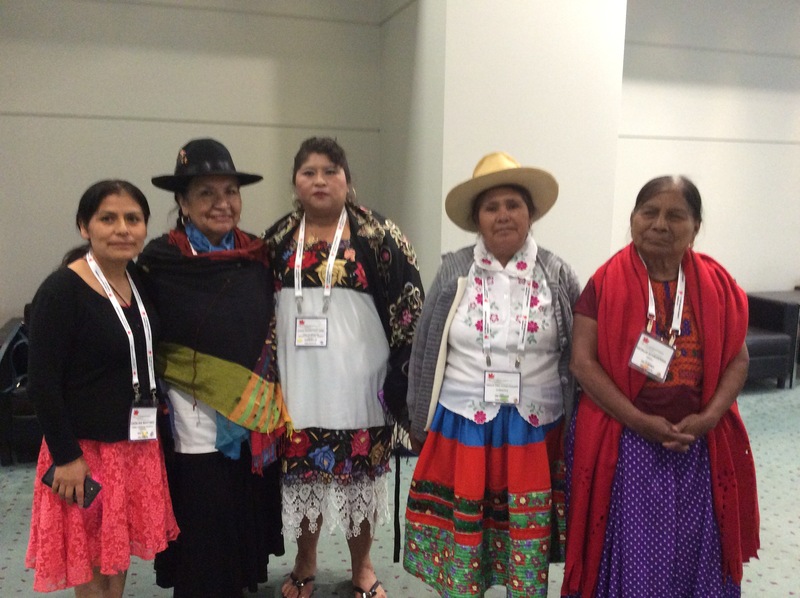 Midwives throughout the world are finding ways to overcome women’s sufferring. On our last ICM morning there were many presentations and workshop including sessions on: Tackling gender barriers to education fo females in Ethiopia, Promoting autonomous, family centred care in a over medicalised environment in Switzerland, addressing women’s rights in Rwanda and caring for pregnant women who are displaced or seeking asylum. And so to our closing ceremony. Once again a moving and powerful occasion. 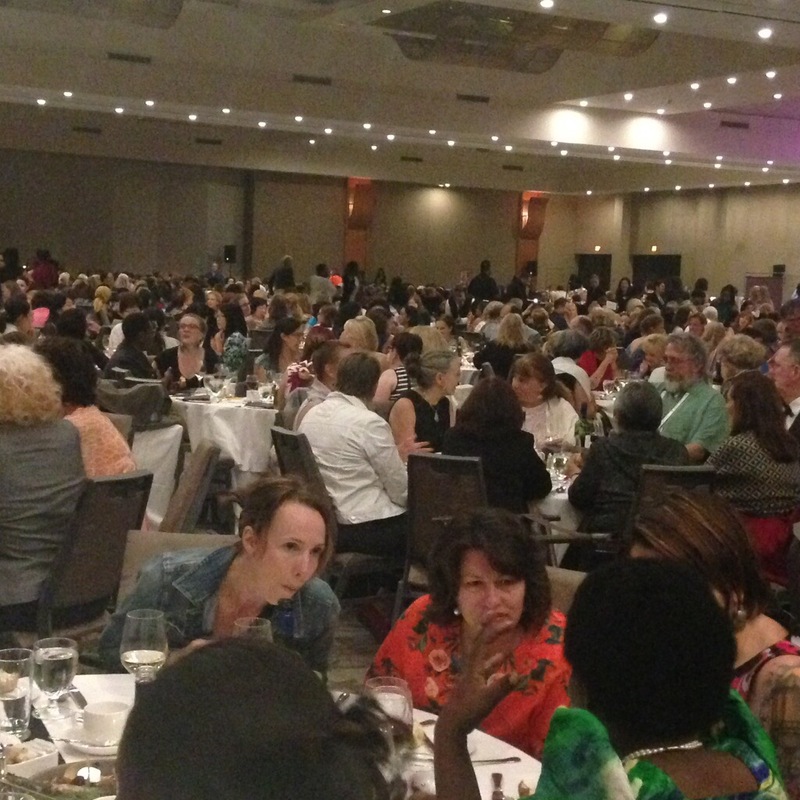 All 4200 of us came together again to reflect on this inspirational 31st ICM Triennial Congress hosted by The Canadian Midwives Association, which by any standards has been a huge success. The retiring ICM President Francis Day-Stirk handed over to the the new incoming President Franka Cadee. 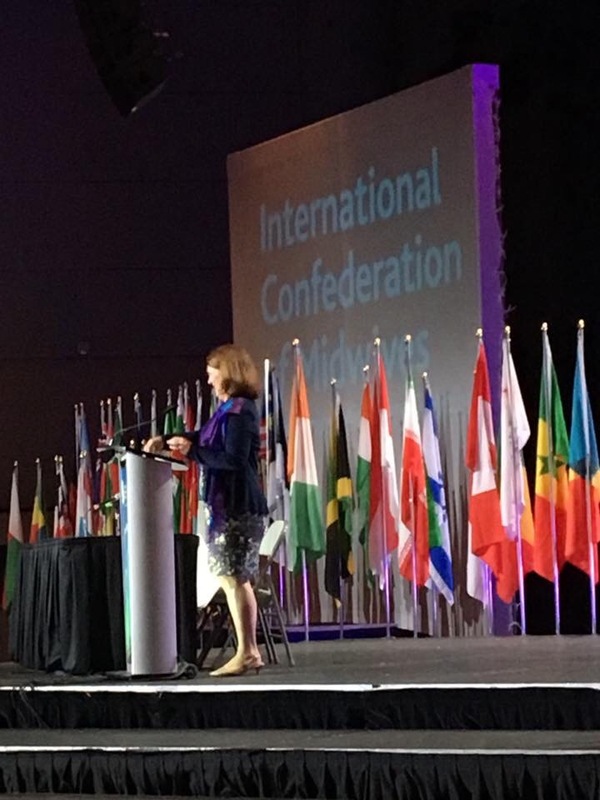 We thanked the Canadian Midwives Association for their excellent hosting and were addressed by The Malaysian Midwives Association President and members, in national dress, who invited us all to attend the 32nd ICM Triennial Conference which they will host in Bali in 2020. We are midwives, we know when to breath and when to push, and it’s time to push! As we leave Toronto there were many heartfelt goodbyes, some exchanging contact details and many photos! It has been a difficult day. Thought provoking yes, informative yes but still a difficult one. 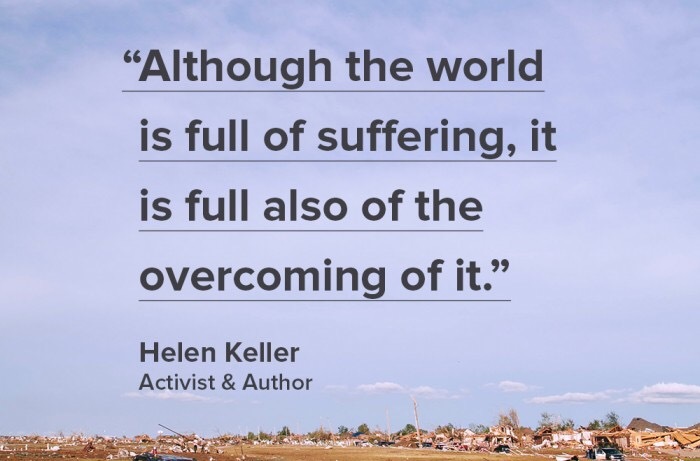 For those of you who know my work (http://www.compassionatemidwifery.com) or who came to my presentation on Tuesday you will know that I study compassion in midwifery and that compassion, by definition is a response to suffering. Today I attended sessions which highlighted suffering of different sorts and explored responses to it. I attended three linked presentations on female genital mutilation (FGM), the first of which was delivered by Elinor Clarke from Coventry University. Elinor gave an clear and useful introduction to the topic and explored the midwife dilemma regarding the mandatory requirement to report FGM and the issues around confidentiality. 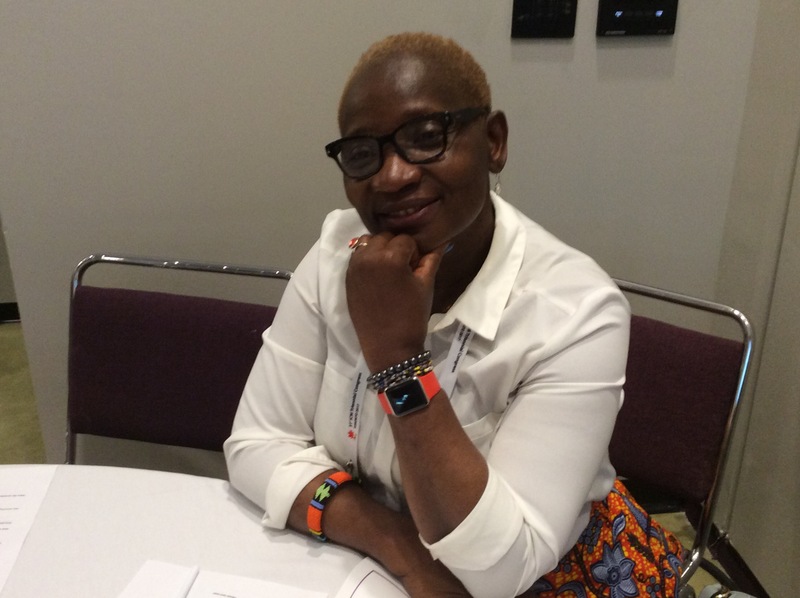 During the workshop clips from her films were shown, highlighting personal accounts from girls who have been through FGM and are still suffering the consequences as well as the stories of those who do the cutting – women – and from men in the communities. We worked in groups to try to generate ideas about how FGM which is so deeply entrenched in the culture of the communities where it is practised can be stopped. It became apparent what a complex problem it is. I wept as I watched the film clips. It is so barbaric and causes so much suffering. Yet 200 million women and girls are living to day with the effects of FGM and 3.6 million are at risk each year. I met Hibo Wardere who is part of The Orchid Project who is an activist. 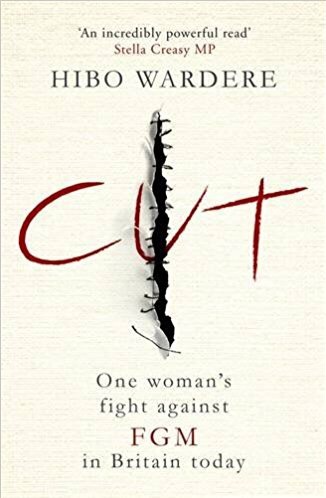 Her book: Cut, One Woman’s Fight Against FGM in Britain Today gives a personal account of her FGM story. She agrees that the problem is a stubborn one and sometimes seems very difficult to make any impact but little by little their work of raising the profile, gaining an understanding the issues in different communities, education, activism, campaigning, communicating and advocating, little by little it is changing but my goodness there is such a long way to go. I have other things I would like to report on from the day but I don’t think I can do them justice after attending this workshop. I will include them in tomorrow’s blog instead. Thank you for reading, especially as this is such an uncomfortable subject. 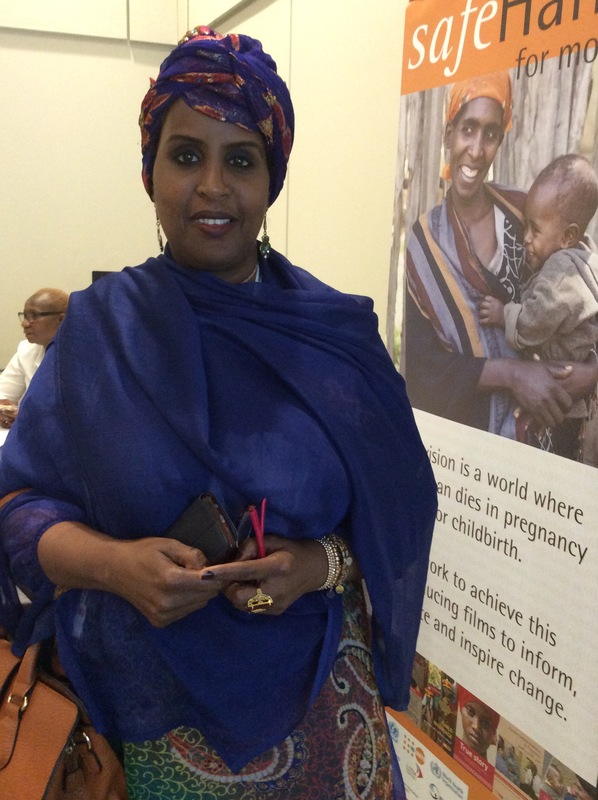 Let’s work together in whatever way we feel we can to end FGM and the suffering it brings. This is fundamental to compassionate midwifery. All over the world midwives enter into women’s lives to support them through pregnancy, birth and early adaptation to motherhood. All the sessions I attended today reflected this, starting with the session entitled ‘Socially Complex Lives’ in which three separate presenters described their projects with vulnerable women. Presenters from London and Rotterdam gave interesting talks on their research and practice first. 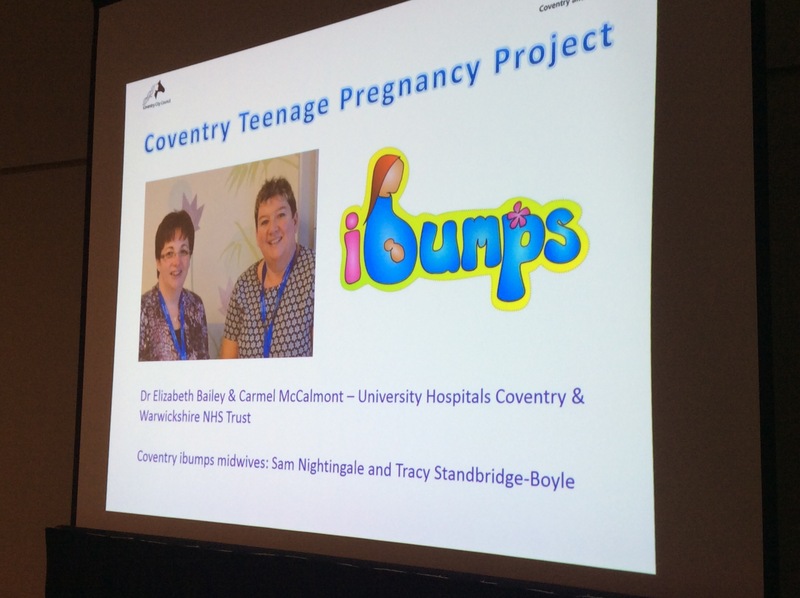 But the highlight was Dr Liz Bailey and Carmel McCalmomt presenting and sharing the iBumps project: a special service for teenagers in Coventry. 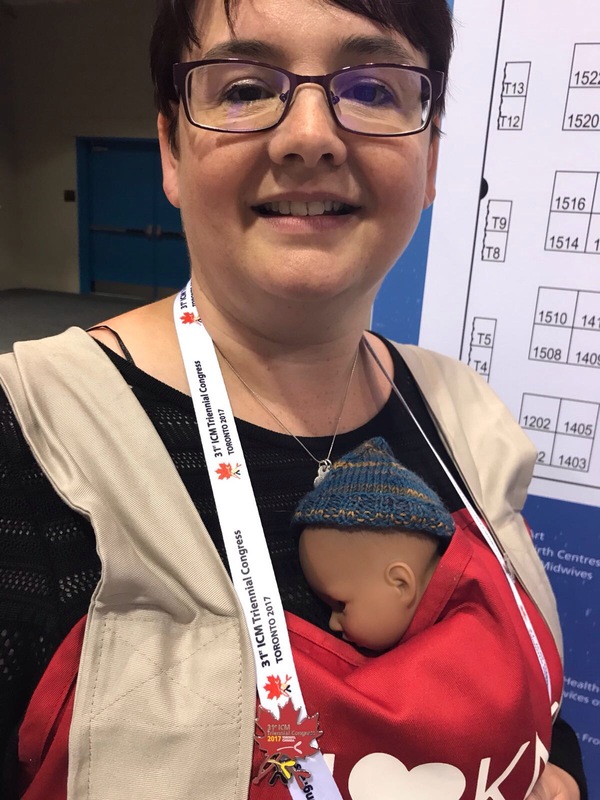 The iBumps Midwives (Sam Nightingale and Tracy Standbridge-Boyle) were unable to attend the ICM because of other commitments so Liz gave a very clear and engaging account of their experience of setting up this successful project which offers young mothers enhanced personalised support from specialist midwives. Feedback from a young mother was shown in a film , she gave a personal account of the benefits of this compassionate and much valued service. iBumps clearly makes a difference. At coffee time I went to see more posters and the Coventry University and UHCW posters seemed to be attracting a lot of interest. These included Sally Pezzaro’s poster on Workplace compassion for staff in the NHS a subject dear to my heart. 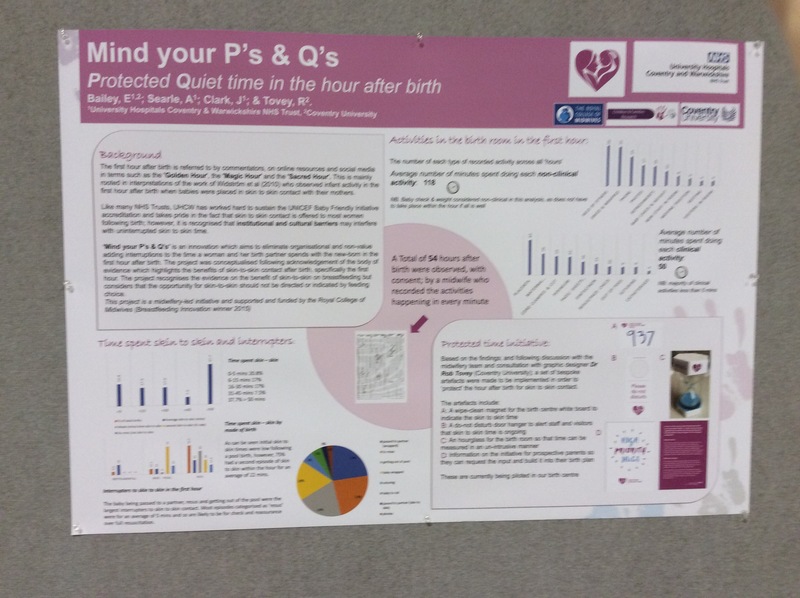 Also the Midwifery Lecturers project on parent education in partnership and research on protected quiet time for new mothers and babies in the hour following birth. After coffee I was spoilt for choice again! 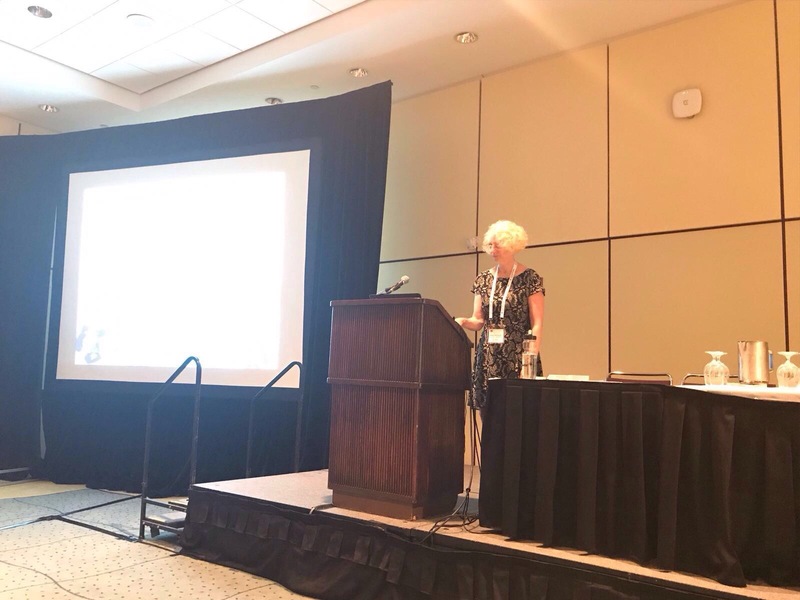 There was so much on offer including a session about midwifery care in disaster areas and another on the ways midwifery students can be supported with accounts from USA, Canada, Germany and Afghanistan. In the end I chose a session on Midwifery Leadership. There were three excellent presentations. 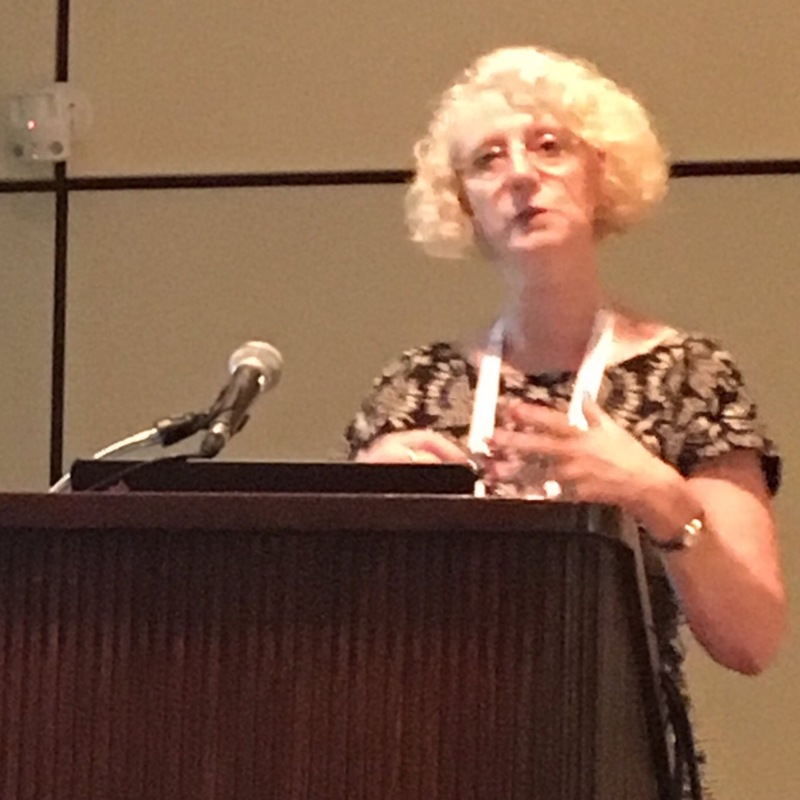 My take home message from presenter Susan Calvert: ‘The biggest challenge is getting all midwives to realise that leadership is their role’. I reflected on this as I left the session. It’s true, if midwives are to make a difference they have to see themselves as the leaders and have the courage and skills to say when things are not right and to lead improvements in care whenever they can, rather than wait for others to lead it. 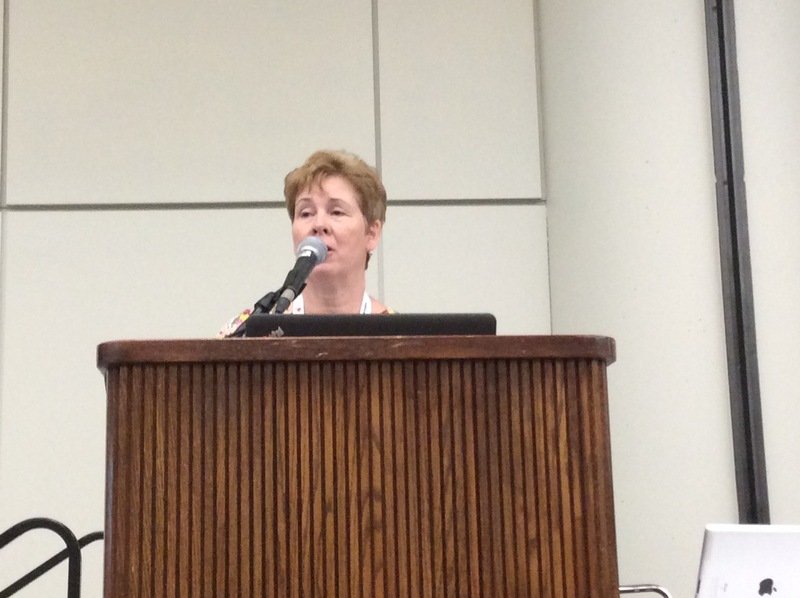 I was the third and last presenter in a session entitles Giving Voice to Respectful Care. The first two speakers were excellent, presenting research from North America and Jamaica so I felt a bit daunted. I took a deep breath. 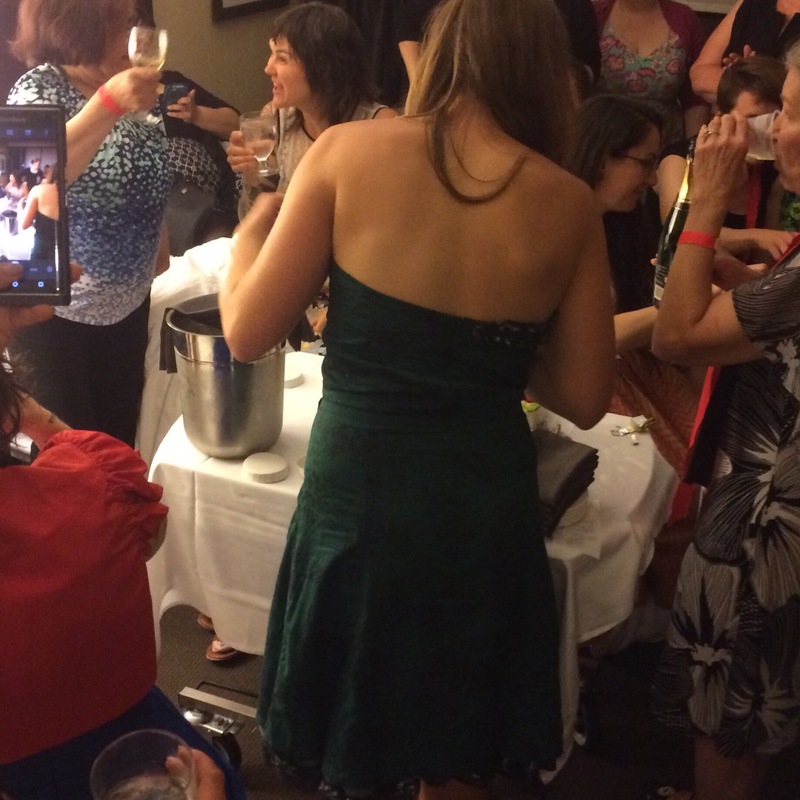 I knew my work was unique and relevant and I was practically bursting to share it with midwives from around the world. I was so hoppy with how it went and the response I got. The audience were engaged and attentive and seemed to really get it! I had lots of questions from them in the allotted question time and many coming to speak to me afterwards. I could not have wished for more. 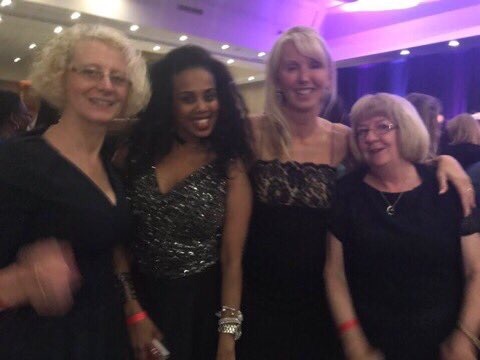 No time to hang around though, it was the ICM Gala Dinner starting at 6.30pm and we needed to get our posh frocks on! More tomorrow. Thank you for reading.